1 Bed 2 Baths 721 Sq. 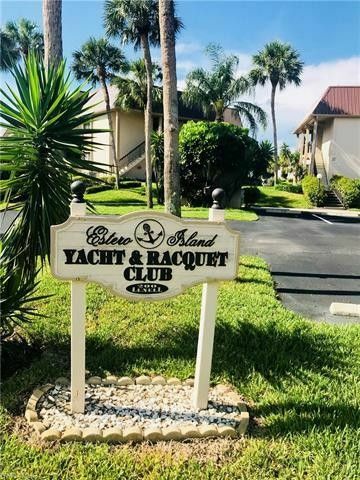 ft.
Estero Island Yacht & Racquet Club is a charming canal front condo complex, close to the beach, dining and shopping, plus walk to Santini Plaza! This first floor, corner unit has fantastic water views from it's screened in lanai of canals that lead to the Gulf of Mexico that can't be beat. Comes fully furnished with a newly updated kitchen including farmers sink, new appliances and stone counter tops and white cabinets that brighten the kitchen. Condo complex allows rentals with 7 day minimum! 1 beds 2 Baths 721 Sq. ft.